Try out a sewing lesson in London with Obby. Whether you've never threaded a needle or you are pretty good, we've found the best classes for beginners, intermediates and the more experienced, so you don't have to do the leg-work. Obby worked with passionate teachers in inspiring environments and we hand select every teacher, meaning you get the best of a really great bunch. If you are looking to really learn something new, and walk away with new skills, Obby is the perfect platform for you to find exactly what you are looking for. Whether you are starting out not knowing how to thread a needle, or you've got a pretty good handle on sewing, we've picked out some of the best sewing lessons you can take in London. Sewing as a skill was something in recent history that we relied on in a large way. Before the days of fast fashion, we had to make do, and mend. Holes in our clothes were repaired with patches, and trousers from our older siblings were taken in so they would fit us. There's a movement in London at the moment that is celebrating a more sustained relationship with clothing. It makes sense to the environment, your wallet and the welfare of clothing factory workers to shun the world of fast fashion. It's a conscious choice and if you know to sew you are halfway there. Think higher quality pieces, but less of them. Here are some of the best classes to go if you'd like a sewing lesson. These classes are with our trusted teachers that have impressed us personally. We don't work with teachers we wouldn't trust meaning whichever class you choose to take, you'll be in safe hands. Starting as a complete beginner can be stressful particularly in a large group. Our Beginners Dressmaking class with Gabberdashery (who also runs an awesome sewing blog) is perfect for those who are concerned about starting from the very start. This one on one class can take place whenever you'd like, so you can work out a time that suits you. You'll benefit from one-on-one teaching, meaning you can make whatever you want. Once you've booked Gabby will be in touch to ask what you'd like to make, advising you on what's easy and what isn't. It's a rewarding class, and although quite expensive at £120, you'll learn what you need to learn as well as making your very first, ready to wear, garment. Dressmaking, or making your own clothes can often involve a sewing machine. Trust us, if you invest in a sewing machine, you'll pick up sewing so much easier. They speed up the process and make timelines realistic. The strength of sewing with a machine is much better as well, you hand stitch won't hold as long as a sewing machine thread, meaning your clothes and repairs will last longer. Get to know your sewing machine with this class at Craft My Day with Rachel. This gorgeous studio is in South West London. You'll learn to make your own shopping bag while getting to grips with the sewing machine and you will learn certain techniques including hemming. For those of you who are looking to refresh your current wardrobe or curious about clothes altering. Perhaps you've got a few skirts you'd like to be trousers or a pair of jeans you'd love to turn into a skirt. This Introduction to Garment Repairs and Alterations class has been developed for those fairly new to using a sewing machine and hand sewing techniques and is a good foundation class. In the morning you will learn a series of techniques for common garment alterations, care and repair. In the afternoon apply the skills to items of your own clothing. The afternoon session will be completely tailored to your items and what you'd like to do to them! Perhaps you have embarked on your clothes alterations journey but got yourself a little stuck. Sewing surgery is the perfect answer to your prayers. Stop trying to find the answer on YouTube and take your project and machine along to sewing surgery. Mend your makes and your mind in this two-hour sewing surgery. These sessions are for people with basic or even advanced sewing skills who just need some guidance or a boost of confidence. Or, if you just want to have some company from like-minded stitchers as you sew. Jeans. Jeans are the staple of any wardrobe, handmade or not. Learn how to Sew a Pair of Jeans in this class taught by Charlotte Newland. Charlotte was the winner of Great British Sewing Bee in 2016. 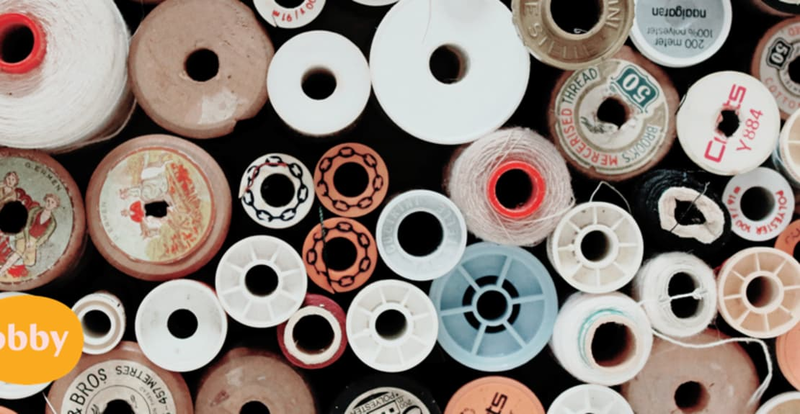 Held at the beautiful store The Village Haberdashery in West Hampstead, this three-day boot-camp will leave you confident in one of the most challenging tasks you'll come across in dressmaking, making a pair of jeans that looks, feels and fits great. This class is with Charlotte Newland again and is a two-hour session where you can drop in and get some well-needed advice form her should you be stuck on a current project. In these sessions, Charlotte is able to offer you tips and tricks and teach you new sewing techniques that you may not have been able to pick up on yourself. Book yourself onto Guided Studio time with Charlotte for only £53 for an entire 3-hour session from a very well-known expert.